Provide comfort for the family of Ollie Koenning with a meaningful gesture of sympathy. Ollie Mae “Coonie” Koenning, age 77, entered eternal rest on December 17, 2018, at her home in San Antonio. She was born in Nixon, Texas, on November 16, 1941, to Jess Hensley and Annie Bell Ivey Gordon. Ollie Mae was preceded in death by her parents; 5 brothers: Merlin, Ansel, Cecil, Nathan, and Bert Gordon; and 2 sisters: Maggie Fellers and Jessie Fay Moore. She is survived by her lifelong partner, Bill Telisak; her children: Michael Martin (Sandi); Melody Martin Lindig; Mandy Martin Jarzombek (Paul); sister, Lottie O’Neal; sisters-in-law, Jimmie Gordon and Bessie McKinney; her grandchildren: Shandra Martin Medina, Amanda Martin Lovar, Molly Martin Kelly, Natasha McCoy DeVilbiss, Karen McCoy Maples, Henry “Hank” Mann III, Kelli Jarzombek Hedfelt, and Derrick Jarzombek; 16 great-grandchildren; numerous nieces and nephews, as well as other loving family and many friends. A Visitation will be held Wednesday, December 19, 2018, from 4PM-8PM at Finch Funeral Chapel in Nixon. The Rev. Michael Cowey will officiate the service with burial following in the Union Valley Cemetery. Pallbearers: Derrick Jarzombek, T.W. Hedfelt, Hank Mann, David Lovar, Jason Maples and Wade Gordon. Memorial contributions may be made to the charity of one’s choice. 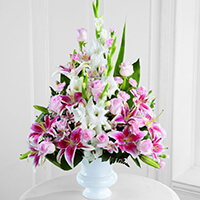 To send flowers in memory of Ollie Mae Koenning, please visit our Heartfelt Sympathies Store. We encourage you to share your most beloved memories of Ollie here, so that the family and other loved ones can always see it. You can upload cherished photographs, or share your favorite stories, and can even comment on those shared by others. 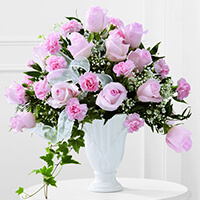 Howard Klein, Jay Garcia, Veronica Hinojosa - ADKF and Ron Dawson have sent flowers to the family of Ollie Mae Koenning. Lottie may the Lord give you strength and comfort at this time of loosing your Sister and the children may God give you all peace and comfort . The Lord is watching over all of us as we part ways with our loved ones . He has every thing in his hands and She will rest in peace ,no more pain or suffering now . May God give you all peace and comfort knowing she is at rest now. We love you all . Mandy/Paul - Losing a loved one is always difficult Nothing anyone says will take away the pain of your loss. Our thoughts & prayers are with you. Let us know if you need anything. Howard Klein, Jay Garcia, Veronica Hinojosa - ADKF purchased the The FTD Precious Peace Arrangement for the family of Ollie Koenning. I know these difficult times your family is going thru. Words can't express enough to help you thru them. Please know you are on my mind and our relationship is important to me. Ron Dawson purchased the The FTD Deepest Sympathy Arrangement for the family of Ollie Koenning. My thoughts and prayers are with the family! !